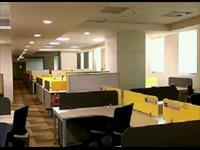 +50 work stations, 4 cabins ,glass face commercial elevations with reception area meeting room. Ceo cabin, cubicles, car park facilities close to metro and highway , well done up interiors good for any kind of business immediate deal more option from 2000 to 40000 sq ft . MANY OPTION DEAL NOW ! !